The port of Ras Lanuf on Wednesday exported its first crude oil since 2014, as tanker Seadelta sailed off to Italy with more than 700,000 barrels. National Oil Corporation (NOC) chairman Mustafa Sanalla had put the revival of exportations on top of his priorities and stated that “the increase of oil production will help earn more money and the revenues will go to the central bank.” A second tanker is expected to be loaded at Ras Lanuf very soon. 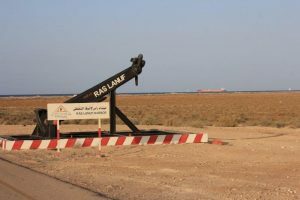 Libya’s output has increased from around 260,000 bpd last month to between 350,000 and 400,000 lately and the number is expected to increase when the damages done to Ras Lanuf and Es Sider during the recent clashes are repaired. Production rose after the Libyan National Army under Field Marshall Khalifa Haftar took over Ras Lanuf and Es Sider from the Petroleum Facilities Guard last week and handed it over to the NOC. The NOC has been careful not to be part of the political battle between the different competing authorities by maintaining its neutrality although it has issued statements blasting all sides when the facilities were attacked. Libya is yet to reach its post-war output of 1,6million bpd as fighting continues to affect the operations of the facilities.